At Cottage Inn, we understand how hard it is to eat gluten-free. You have to search high and low for foods that don’t contain gluten, and it often means giving up your favorite foods. Therefore, we decided the least we could do was see if we could serve gluten-free pizza. We found a recipe that produced a gluten-free crust, which is the main hurdle in making pizza gluten-free. We found that it tasted just as delicious as ordinary pizza, and took the steps to enable all of our locations to serve gluten-free pizza. There are a number of ways to enjoy a gluten-free pizza as well. 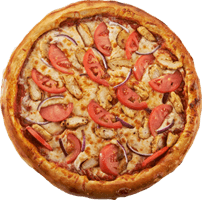 A lot of ordinary pizza toppings do not contain gluten, so it doesn’t mean you’re limited on options. As you can see, there are a lot of different gluten-free pizza options. We also promise you’ll enjoy our gluten-free pizza just as much as regular pizza! Don’t believe us? Try one out today and see for yourself. Give us a call or order online to taste true gourmet. You’ll see that just because you have to eat gluten-free doesn’t mean you have to give up delicious pizza.